The US tech giant said profit jumped 63 percent from a year ago to $3 billion in the fourth quarter as revenues increased 20 percent to $72.4 billion. The results reflected growth in Amazon's ever-expanding online retail operations as well as its large cloud computing division, known as Amazon Web Services. Shares, however, slid 5.4 percent to $1,625 in after-market trades that followed release of the earnings results. "I'm guessing a lot of people expected really good results, and as soon as they saw them sold and took the profit," said independent analyst Rob Enderle. "It looks like Amazon had a stellar quarter." 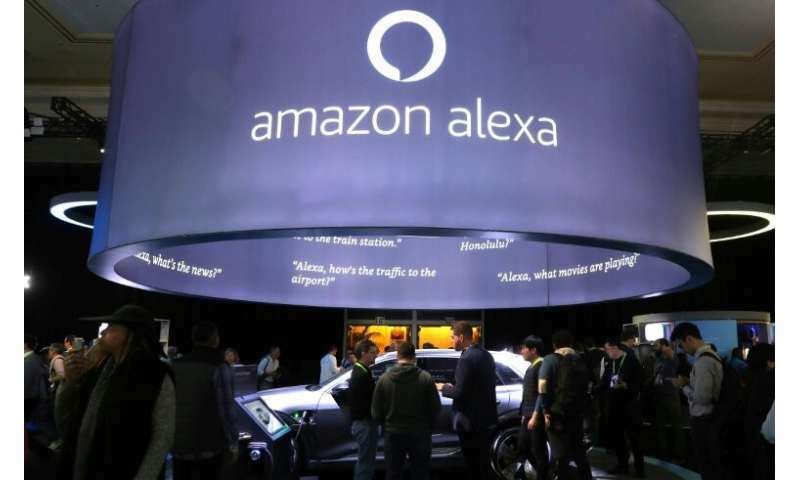 Chief executive Jeff Bezos highlighted the role of Amazon's digital assistant Alexa as the company moves into infusing artificial intelligence into its smart speakers and other devices in a race for dominance in the "internet of things" market. 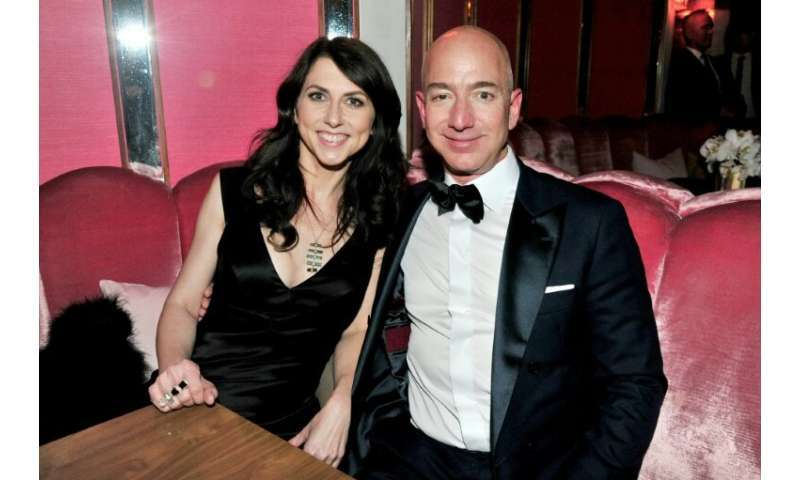 "Alexa was very busy during her holiday season," Bezos said in the earnings release. "Echo Dot was the best-selling item across all products on Amazon globally, and customers purchased millions more devices from the Echo family compared to last year," he said. Amazon has become one of the world's most valuable companies as it moves beyond its traditional retail roots to groceries, streaming media, and a range of other goods and services. Long known for slim margins, the company has been boosting its profitability in recent years and the latest results showed strong sales for the holiday season. "Amazon's profits continue to soar on the back of strong online holiday sales, which are simultaneously fueling its white-hot ad business," said eMarketer principal analyst Andrew Lipsman. He noted that Amazon has been gaining in the digital ad market as a result of its large customer base, developing a new revenue stream and taking away some market share from the leaders, Google and Facebook. Amazon's digital ad business continued to grow well in the quarter, and it is working with big brands on improving tools and features, chief financial officer Brian Olsavsky said during an earning call with analysts. "On the profit front, Amazon's results are impressive," said Neil Saunders of the research firm GlobalData. "Amazon will now need to work doubly hard to achieve any future sales gains," he said in a research note. The end of last year was the biggest holiday shopping season ever for Amazon devices, with customers purchasing millions more of them than they did a year earlier, according to the earnings report. Amazon launched pop-up stores to customers in six countries across Europe during the holiday season, curating selections of products and hosting events for consumers in Amsterdam, London, Madrid, Milan, Berlin, and Paris. The better-than-expected results were offset in part by a disappointing outlook for sales growth in the current quarter. The earnings report showed Amazon expenses climbed as the company continued to invest in data centers, distribution networks, artificial intelligence, and original content for its Prime streaming television service that competes with market-leader Netflix.